Is the most valuable part of your content, the discussion it generates? Can social comments add more authority and semantic search value than many marketers truly appreciate? These were among the questions on my mind when I sought advice from a handful of connections in GPlus (who just happen to also represent some of the top minds in Semantic Search). As a result, below, you’ll see a transcript from one of the most insightful G+ conversations I've been a part of, complete with some revealing (and common sense) insights into what makes the comments you receive on your content so valuable… and what to watch out for if you want to keep comments from accidentally hurting your content. Participating in the discussion are: Ammon Johns, Stephan Hovnanian, David Amerland, Bruce Marko, David Kutcher, Teodroa Petkova, Aaron Bradley, Bill Slawski, Sergio Redondo and Frank Gainsford. First, a quick word about how we got to where we are. Comments by Frank Gainsford on another blog post inspired the idea for this thread, and then responses from Frank, Bill Slawski, Ammon Johns, Stephan Hovnanian, Teodora Petkova, Bruce Marko, David Kutcher, Sergio Redondo, and David Amerland all helped to flesh the idea out. I’m incredibly grateful to all of them. Preliminary Questions, re: Semantic Social Value. What would consider to be the most significant semantic advantage to having a large number of comments on a social post? Do you see a correlation between this (from your answer above) and SERP results/trends you’re seeing lately? Can you imagine a system, in the near future, where marketers will attempt to game social engagement to improve their SERPs? Is the semantic nature of social commenting strong enough to affect search rankings in tightly contested or competitive markets? In your opinion, do commenting tools such as Disqus, IntenseDebate, and LiveFyre improve or lessen opportunities to build semantic value, trust or authority? a. What's the most important question I missed? b. May I add your question to the finished questionnaire? Feel free to answer as thoroughly as you need to. It starts out all polite and a bit light before ramping up into an open and thoughtful discussion between Semantic peers. Because of that, I've optied to share it without editing. Enjoy. Randy Milanovic qualifier on #1, by large number of comments are you measuring by # of comments or length of discussion? I'm assuming discussion and participants, however diced. Long discussion meaning many entries. Perhaps answers could include those particulars? Agree with Stephan Hovnanian​ on #1, large number of "good job" is different than lengthy posts expanding the subject discussion. With #5, Google+ Commenting? I had considered adding Gplus Commenting (a ringer!) However, in my own research before adding Disqus to my site I discovered Gplus commenting is limited to Google products. I also get curious not just about the contents of the comments, but the author as well. If I can get a known subject matter authority engaging in the comments will that contribute semantic social value and/or affect SEO? Q1 - Having a range of comments increases the likelihood that a sufficient range of answers addresses the topic of the social post, including (1) narrowing down its topic to meaningful segments, (2) broadening its range in a way that might capture as much of the whole of it as possible, (3) raising as many attributes that are related and meaningful as possible with repetitive answers showing which elements may be the most important or at least come across that way. At some point, having too many answers might act to provide too much information, and some of it misleading information. I think of I. A. Richards experiment with Modern Practical criticism, which showed that there are a number of ways people commenting on something may respond to it, and some of those aren't how you might think they would respond, and might not necessarily be helpful. I saw a post earlier today (I think) from Barry Swartz talking about Panda 4 negatively impacting his site and Google telling him his comments were "possibly" the cause. The assumption was the comments outweighed the content and many were poor quality, tipping the quality factor into the yucky. Anyone else see that? 1) collaborative ownership of the discussion, which could translate to both the topic and its contributors referencing it again in other areas of the web. 2) I'm not tracking anything like that (not really my wheelhouse compared to others on this thread). 3) there are already cliques on social media which extend to comments, shares, and off social to blog posts. I don't see how gaming this is sustainable because eventually the extended network that benefits from these semantic signals gets encapsulated within the clique. 4) I doubt it. If the competitive market is active on social, you'll have a higher threshold to make any impact if it's even possible at all. If the market is not active on social, the extended network that benefits from semantic signals isn't logged in so they never see it, even though you won't have to do as much work to get social comments to make the impact. 5) I think they help actually because they help discovery which could lead to networks among users, which build trust and authority. Clique as in small group? Q1. What would consider to be the most significant semantic advantage to having a large number of comments on a social post? A1. The most significant semantic advantage to a relevant set of comments in a comment thread is much as it always was - it adds extra words, alternate phrasing, and related topics to a page. This was also true in 1995. Q2. Do you see a correlation between this (from your answer above) and SERP results/trends you’re seeing lately? A2. I have long seen a correlation between rankings on words repeated in comments. In recent times I have been seeing more advantage to 'concept' type search (i.e. semantics) through adding more related but not necessarily "precisely on topic" comments. Q3. Can you imagine a system, in the near future, where marketers will attempt to game social engagement to improve their SERPs? A3. Actually, I've known people doing this for as far back as I can recall. Of course, the 'social engagement' metric they were trying to gain was visits and links, but these are both 'engagement' signals even where comments are absent. One could easily point to thousands of poorer SEO companies buying or faking 'likes' and other social signals for a decade or so. Back in the heyday of forums, people would create sock-puppet accounts and play a tag-team game, where one account would ask a question that naturally led to a link drop from the second as an on-topic reply. This also happened on blog comments. And I knew of several bloggers that faked their own comments to make it seem as though there were an engaged audience in the hopes it would entice further engagement. Gaming social engagement indeed, as far back as I can recall. Q4. Is the semantic nature of social commenting strong enough to affect search rankings in tightly contested or competitive markets? A4. Only, so far, in regard to the words used and added to the page, or in the links gained through any other page that is crawlable, be that on any social platform or blog, etc. Q5. In your opinion, do commenting tools such as Disqus, IntenseDebate, and LiveFyre improve or lessen opportunities to build semantic value, trust or authority? A5. In that comments themselves add value, they do indeed add value. Trust and authority, not so much, as yet. However, embedding G+ comments into a page may indeed have an added element of trust or authority, since these are a little more closely linked to verified accounts. 6a. What's the most important question I missed? 6b. May I add your question to the finished questionnaire? Ammon Johns perhaps a post-Hummingbird angle? Only really in Q2, and addressed in the answer. In all, Hummingbird in terms of SEO is still more evolution than revolution, though it has made specific keywords less important. Hummingbird has nothing to do with Social per se. Am I to understand Hummingbird's jump to semantic was vapour Ammon Johns? No, not at all, although there were synonyms in search prior to Hummingbird. Hummingbird is indeed about semantics. It just is not about Social. Whether others add the words in comments, or whether I write a page using all those words makes no difference to Hummingbird (but other parts of Google put more weight on content in the article than in the comments). 1. What would consider to be the most significant semantic advantage to having a large number of comments on a social post? A1. I think it's not a matter of quantity but quality of these comments when speaking about semantics. And now my question: when you say 'social post', do you refer to a post (aka. update) published on any social network or an 'engaged post'? 2. Do you see a correlation between this (from your answer above) and SERP results/trends you’re seeing lately? A2. Good comments add value to posts. If these good comments use words semantically related to the content of the post, they are adding more semantic value. You can find a lot of sources on the Internet that prove the correlation between 'good engaged posts' and better rankings. 3. Can you imagine a system, in the near future, where marketers will attempt to game social engagement to improve their SERPs? A3. Very probably, but it will need to be strict with the user behaviour (aka. marketers practices). 4. Is the semantic nature of social commenting strong enough to affect search rankings in tightly contested or competitive markets? A4. I think it might. When you find a niche where almost all of the best players share the same behaviour about their strategies, the answer from their users when interacting with their contents must be a turning point. If users comments in a wise way, adding semantic value to a post, this might be a strong signal to search engines. 5. In your opinion, do commenting tools such as Disqus, IntenseDebate, and LiveFyre improve or lessen opportunities to build semantic value, trust or authority? A5. I think these systems give the possibility to give credits and value to users who comments in a good way. They create a interconection between comments left in different pages from the same user, so this user could become a 'commenting authority'. If a post have a good amount of 'commenting users' (and here we are speaking about quality+quantity), this might rank better than similar posts with less 'commenting users'. A6. How can a user become and be recognized as a 'commenting authority'? Thank you Sergio Redondo. A1: while any post (in social or blog) may be considered, I'm my mind was an update within a social platform. Cliques, yes small groups, like the ones who share each other, link to each other, no matter what. Thanks Randy Milanovic. And excuse me for this error: in A5, when I say 'commenting users' I mean 'commenting authorities'. As Ammon noted: A1. The most significant semantic advantage to a relevant set of comments in a comment thread is much as it always was - it adds extra words, alternate phrasing, and related topics to a page. This was also true in 1995. There are other signals that can be looked at as well by a search engine, when it comes to things like these, such as a term frequency Inverse document frequency to understand how unique and how rare the words might be in a comment, and some analysis of how related those words are to an overall theme. I wrote a post in 2011 about a patent published at WIPO titled "How Google Might Rank User Generated Web Content in Google + and Other Social Networks". It looks at a number of additional signals as well to assess the values of comments, and to possibly even gauge a reputation score for an author. It really impossible to see inside the black box and tie one of many pieces to others. There are also a very wide range of algorithms potentially in use that may or may not be in use that could impact rankings for terms, phrases, themes. It's hard not to imagine that happening, and it likely has been for over a decade. Marketers are likely going to try to increase a "share of mind" about a product or service that they are being paid to promote regardless of whether or not it might have a direct impact upon search results. That it in possibly could, is in many cases, an additional bonus. I've been trying to create pages that visitors not only use to sign up for services or goods from, but also are likely to refer friends to, link to, talk about socially with others both online and offline, and so on. A marketer who isn't doing things like this, isn't marketing. I'm not quite sure I understand what question is being asked here. What is "the semantic nature of social commenting?" Is the question referring to things such as Google connecting the accounts of people who have added each other to their circles, so that for one of those connected people, the other might see their posts or posts that they have shared or endorsed, through a connection that a search engine could recognize, such as a FOAF connection between the two? And that those posts/shares/endorsements might act to boost results as if they were personalized? I haven't personally used any of these on a site that I run, and can't claim to have any opinion on them. I'm not being paid to endorse them (and really don't want to be), and would much rather answer a question about Google+ comments or even more the simple default commenting system that WordPress offers and probably is used by a much wider audience than these third party tools. Relationships. Something more, mapped relationships. And let’s not forget to look at semantic search and technology holistically, they are not absolute, they serve a purpose. More comments mean more engagement, context and well reflected dynamics of things. Large number of comments per se might mean everything :) But yes, I see a correlation between reinforced relationships (i.e. strong social signals) and SERP. Of course, many will try to game the system. But, gaming it they will have to transcend to the light side - because faking it the will make it. Gaming value and trust is a paradox. No need for that. A “first” place means nothing if the client is not satisfied. Would semantic search make the numbers not count? 6a. What's the most important question I missed? 6b. May I add your question to the finished questionnaire?) 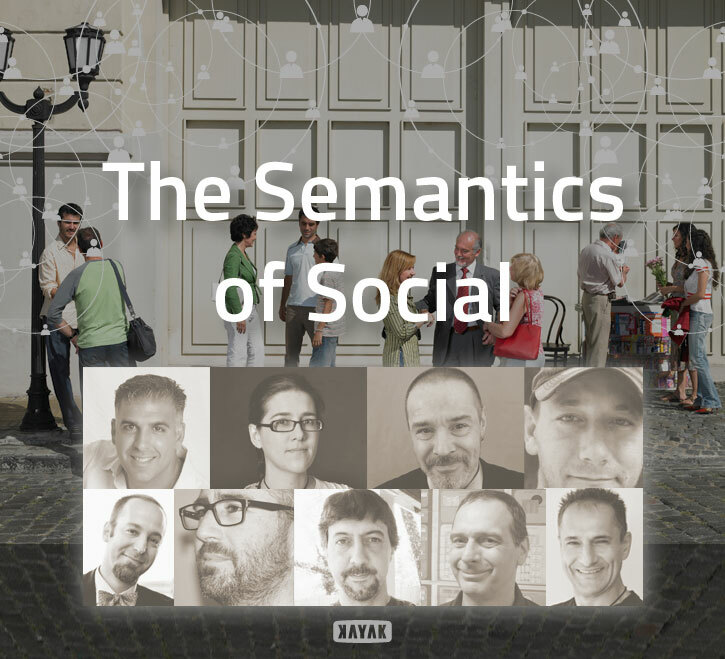 How would you define A "Semantic Social Value" as related to comments"? Does it need to boost ranking values, or can it do something even more positive such as being a source of authority to things such as knowledge bases or question-answering services? You can add this one to the finished questionnaire if you would like. Randy Milanovic 1. What would consider to be the most significant semantic advantage to having a large number of comments on a social post? - From a semantic analysis point of view every comment (and commenter) is assessed through a four-attributes filter that looks a little like this. In addition the comments themselves, as already mentioned by everybody, add breadth and depth. There is the inherent risk of too much breadth derailing the post's value by weakening its overall domain attribution (i.e. making it weak) but that really comes down,again, to the assessment of the individual commenter and, ultimately, the building of relationships across the social web. 2. Do you see a correlation between this (from your answer above) and SERP results/trends you’re seeing lately? Yes, when the comments end up being even better than the original post. In that regard the post was key to eliciting the comments and everything is synthesized into a really valuable whole. If the comments are not relevant the value of the post is deprecated. 3. Can you imagine a system, in the near future, where marketers will attempt to game social engagement to improve their SERPs? Marketers always look for shortcuts. It's the norm of all human economic behaviour. 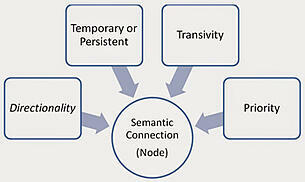 Semantic search is informed by an ever increasing array of signals none of which, on their own. work well (pretty much like in Real Life). This means that there are no real viable shortcuts. It requires as much effort to game the system as to do it all properly. 4. Is the semantic nature of social commenting strong enough to affect search rankings in tightly contested or competitive markets? All other things being equal strong social commenting can become a strong corroborative signal in terms of quality and value which can make the defining difference. 5. In your opinion, do commenting tools such as Disqus, IntenseDebate, and LiveFyre improve or lessen opportunities to build semantic value, trust or authority? Google actively mines the social web for identity signals which it uses in its entity graph. Comments in different systems can play a significant part in this, particularly as Google scales the process across the web. The question right now is how advanced (and therefore valuable to the end user) that system is. It's a long term strategy from a commenter point of view. From the perspective of a comment, relevant comments have the ability to increase the value of a post and significantly increase its semantic weight. 6a. What's the most important question I missed? 6b. May I add your question to the finished questionnaire? 6a. In a semantic web where quality, a unique identity and real connection and relationships are key do any of our step-by-step here's how-to-do this suggestions really matter? Bill Slawski Q4 clarification (I hope): It appears there're 2 camps when it comes to social engagement as a ranking factor - at least insofar as there's direct impact. Not to inject my own assumptions, but I can't fathom a world where comments, likes, plusses, favourites and the like could not impact a piece of contents 'value', even if it is to simply add bulk as Mike suggested earlier. In case I've worded the question improperly, in open to modify it with your help. Bill Slawski Q5 clarification: I suppose WP's commenting system should be included. I mentioned those as examples simply because they are gaining steam as alternatives to the standard Name, Email, Web, Comment, Submit, Moderate, Display model I've found limiting to engagement and ride with spambots. I didn't include Google's for 2 reasons, a) I feel it's a ringer, and b) it is not available outside of Google properties (except for the hack discussed earlier). Ladies and Gentlemen, would you all be interested in answering the other participants' questions? Essentially morph the 'what did I miss' question into a second bank if much better questions - possibly even a second post? David Amerland am I seeing that there's a sweet spot for comments... Enough to bolster the original piece, but not enough to overshadow it? Sometimes in search, you'll see a highly ranked result on Yahoo Answers or similar. The original post was just a question, and doesn't in itself have the value. All of the value is in the comments and interaction. For the first question I would say the more robust the comments the more authority is ascribed to the post, thus the more visible it becomes, especially in the context of who is commenting. Right now the ability of the semantic Internet to derivate meaning from value in comments is limited though constantly evolving. It can tell who is talking though and if you have a couple of experts discussing their wheelhouse in your thread then it either absolutely effects ranking and visibility or the semantic Internet arguably doesn't exist. For two I would say the trends I see from this are more related to social networks and effect the flow of information rather than specific search returns. Three is that we live now and for the foreseeable future in a system which is under near constant assault by people trying to game the system. People make a living trying to advise people on how best to game the system and thwarting them is often woven right into Googles updates like hummingbird and panda. The best one can do is try to understand the subjective definition of fair play within the system they operate in and do their level best to work as close to that line as possible. Four is yes but it is not fully effective yet. Again the system does not have the ability to derivate multiple levels of value from a conversation, yet in the future that is where it is going. In the not too distant future. For now the effect seems limited in it's ability to affect ranking, but that will change in the future. For five I would say all tools help, however trust and authority are developed over time, while a polished first impression may help expedite this process it can not be a substitute for it. You cannot fake the value or originiality of your words, and this is where semantic value is derived from. So I would say tools help and can improve opportunities, however it is important to remember they are only tools, what you say has to matter to begin with and it doesn't matter the font that irrelevant information uses. Thank you Teodora Petkova - appreciate the document link. Thank you Bruce Marko . Am I naive to hold out hope that regular people are truly trying to work within the system? Randy Milanovic many are, and many are not, there is always hope my friend. Well, Randy Milanovic, you only have to see the comments right here to answer your post. 1. This question has two nebulous concepts that makes me difficult to address it squarely, but I'll try after enumerating these challenges. The first is a reference to "semantic advantage". I'll read that as "something that has a relative clarity of meaning that can be gleaned by data consumers," but that's in the absence of any further information. The second fuzzy adjectival construction is "social post." As opposed to what? A "non-social" post? Some sort of document that's not a "post"? That a document has comments attached to it makes it "social" IMO. Anyway, the most significant "semantic" advantage of a an artifact for which there's a large number of comments could be that the entity or entities under discussion could have more information provided about them (though not necessarily in a way that data consumers are able to digest that information meaningfully - i.e. "semantically"). "Could" because they could be a "large number of garbage comments" that added no value to the piece, semantic or otherwise. Probably the biggest "advantage" in this situation is that comment count itself, which a data consumer could provisionally say "this is a post of some importance, because of the engagement it appears to have." Finally - and this basically as a segue to my next answer - probably the biggest advantage from an optimization perspective is that a post with more comments is more likely to provide a match for more queries, by dint of the concepts or - far more likely - the strings a search engine is able to identify in those comments (thought I don't know if that's considered a "semantic" advantage or not). 2. Yes, I see a correlation between documents ranking in the SERPs and strings contained within (obviously spiderable) comments on a document, but this is nothing new. If anything, there's fewer of such heavily-commented posts high in the results for long tail queries because the search engines are getting progressively better at returning relevant resources that don't precisely match strings in a long-tail query, to the detriment of those social posts. 3. Marketers try to game engagement all the time, and of course there's a cottage industry in fake engagement ("get 5,000 new followers for $5.00 ... guaranteed!"). Is this done to improve search rankings? Sometimes, though of course the search engines vehemently deny there's a direct correlation between engagement and search ranking. 4. What makes "social commenting" inherently "semantic"? Dropping the adjectives I can respond that "the nature of commenting" is such that it can sometimes impact "search rankings in tightly contested or competitive markets" - depending on the query, the market, and the comments in question. Other times, not at all. In other words, there's nothing inherent to comments that give comment-laden posts the ability to outrank other types of documents. 5. It depends on the specific tool, how that tool is employed, and which data consumer's "semantic value, trust or authority" is potentially impacted. Within any given commenting network there's lots of trust and authority building going on, particularly when comments themselves can be voted on by readers. There's a lot of potential here for search engines, because you've got these disambiguated personal entities that can be linked to various topical realms. In reality, virtually all of this potential is unrealized. I don't think the search engines make much of raw comment counts, it's difficult for them to track identities that are verified and disambiguated in somebody else's network (i.e. I think that chance that Google can tell the Aaron Bradley that wrote such-and-such an article on SEO Skeptic and the Aaron Bradley that left a comment on a Search Engine Land article is virtually nil). But most importantly the vast majority of Disqus, IntenseDebate, and LiveFyre comments aren't indexed by the search engines. That this is a technological implementation issue doesn't make it any less pressing. To choose one example out of tens of thousands, articles on Salon.com get scores, sometimes hundreds of comments. Check out the Google cache: zero out of a zillion comments indexed. Search engine value: zero. Aaron Bradley (in fact, everyone here) thank you for your thought-provioking responses. To clarify #1: I was viewing the concept of a social post to be initially a post into a social platform (such as this one), with some revision to include blog articles. Somehow I missed Barbara Starr in the initial share. Editor's note: I've ended this blog post at this point, as Aaron's contribution pretty much wrapped up the first evening of chatter. Much more followed, but rather than post everything here, I thought I'd open up an opportunity for you to engage the Semantic Search leaders in this thread directly, either in the Disqus comments below, or in social media itself. In either case, I'm certain you'll join me in learning a bit more about semantic search, no matter if you're brand new to this semantic thing, or even an old pro. And, I'll be publishing the participants' 'missing' questions in the near future so watch for those. My biggest takeaway from this discussion?